Ever wonder what happens when an HCMer decides to move to California? Darius is off to warmer climates, but we decided to give him a proper send off this morning with an air horn hidden under his chair. HCM is happy to announce that the East Side Storage and Maintenance Facility was approved for grant funding from the Mississippi Watershed Management Organization. The grant will allow for significant improvements to storm-water management on the site. This is especially important given the industrial nature of the site. Strategies include capturing and treating rainwater from hardscapes and rooftops. Stormwater will be treated and released through practices such as rain-gardens and underground storage. Equally important, the grant helps with educational elements which will showcase how rainwater is captured, treated, and released. It aims to educate residents and city employees on watershed stewardship, drawing ties between the neighborhood, the local watershed, and the Mississippi. Floodplain Collective was an integral part of this grant application and landscape design. You can find out more about them here! On March 22nd, HCM took the afternoon to tour Banner Engineering, which Roger Christensen and Liz Gutzman have been leading for the past year. As we all work as one, tours like these are a fantastic opportunity to see the results of the hard work our team puts in. Afterwards we celebrated Eden Messner's new adventure to Wisconsin for grad school as she pursues her Master in Architecture. We wish her the best on this big step towards licensure. For the past 9 months our Design Team has been working with the Pool & Yacht Club Committee to define an overall scope of improvements/upgrades to the Existing 3-Level Building in Lilydale, MN on the Mississippi River. The Facility is entered from a raised parking and drop off platform remote from the main Parking Lot. Club Members and their Guests come into the Main Entry from this platform into the Club Level which is the uppermost Level. 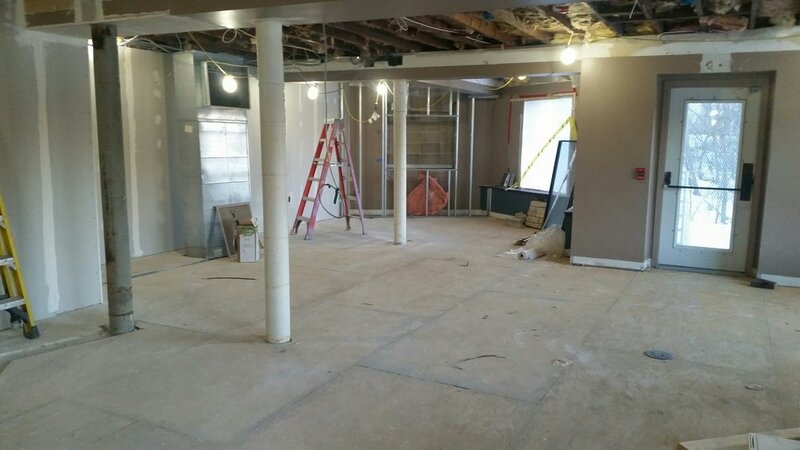 This Level includes the Main Dining Room and Kitchen along with a Bar Lounge/Casual Eating Space, Toilet Rooms and an Office Area. Outside the Bar Lounge/Casual Dining Area is an Outdoor Deck for dining overlooking the Mississippi River with dramatic views. The next Level below incorporates Banquette Space to rent for events for Members and the Public. There is a Bar Area open into the Large Banquette Room. In addition this Level has Toilet Rooms, Kitchen, Dry Goods Storage, Cooler Storage and a small Office Area. The lowest level is the Basement Level which is primarily for Storage and is subject to flooding when the river is high. After working through potential Design Phases and Construction Costs last Fall, it was determined to proceed with Phase 1. Construction of Phase 1 began in mid-January 2018 and will be complete by the beginning of May 2018. On the evening of February 26th, the City Council of Maplewood MN voted unanimously to approve to move the Wakefield Parks project forward into the bidding phase. This caps a nearly yearlong effort, where HCM Architects has worked in concert with Kimley Horn and our various consultants. HCM and Kimley Horn have met with various city councils and the community to get stakeholder feedback and rigorously engage the community in the design process for the improvements. In continued coordination with the city and parks department the structure will be solar ready for if and when the funds become available to make this park project net zero energy. The city has expressed that this project will only be the beginning of the improvements to Wakefield Park; where improvements to the water quality of the lake are also being planned. HCM and Kimley Horn have been honored to work alongside the community and their elected officials to carry the project into the bidding phase and look forward to the completion of the project in late 2018. 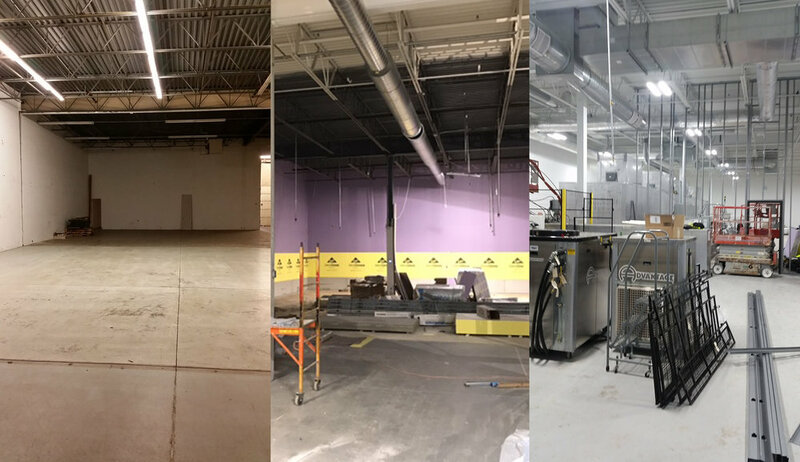 HCM’s client Hearing Components is nearing the completion of a build out of their new space, which will vastly expand their production capabilities. 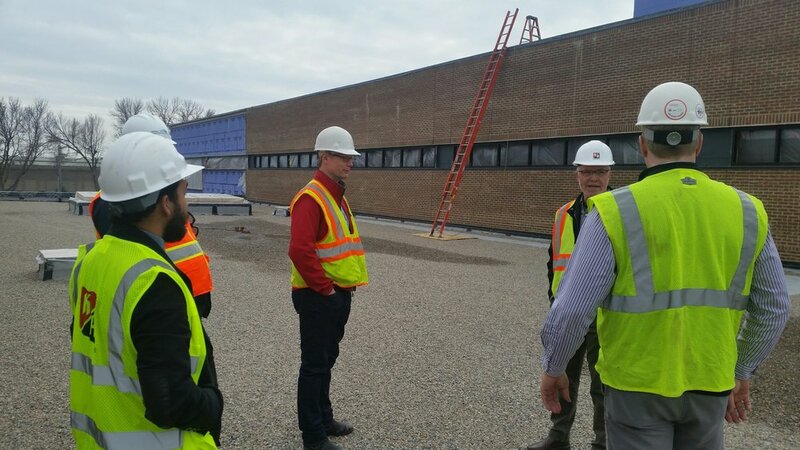 HCM and AB Systems out of Rochester, MN worked with the Oakdale, MN based Hearing Components to remodel an existing building directly next door to their previous facility on a compressed timeline. Combining their two locations into one in a truncated timeline due to expiring leases was a major part of the project. Congratulations to Hearing Components on the expansion of their facilities. If you are looking for a new ear bud tip, look them up at http://www.complyfoam.com. 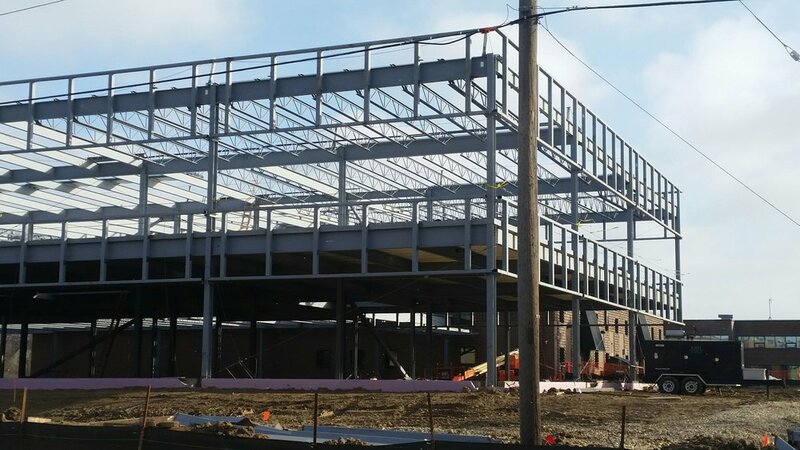 The team at Banner Engineering is currently framing the exterior walls and has already began framing the second level interior walls. Next steps include pouring the main level slab and continuing to finish the exterior shell. Cummins Engineering is coming close to the end of Construction, and the entire team is excited to see it completed. The exterior facade is being wrapped up, and interior finishes are being prepared to go in. HCM is extremely excited to share with you that Liz Gutzman has recently passed her final Architect Registration Examination, and as of the end of 2017, she is officially a licensed Architect! Liz has been an important part of this team for years and is crucial to many major projects. We are excited for her future and growth as an Architect! HCM wants to wish everyone a wonderful holiday season. We hope it is filled with family, friends, laughs and smiles! We have been extremely blessed this year and are excited for the new year to come! Hagen, Christensen & McILwain Architects was responsible for the programming and design of the recently renovated Boston Scientific Building 1, Levels 2 & 3, on their Weaver Lake Campus. 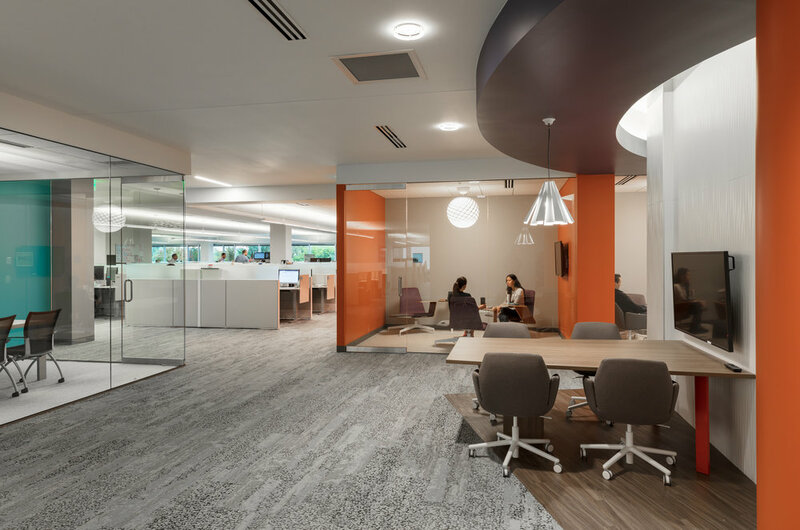 This design captures the requirements of the Boston Scientific Global Design Standards creating a more open office environment. Click the link below to read more about the recently completed project! 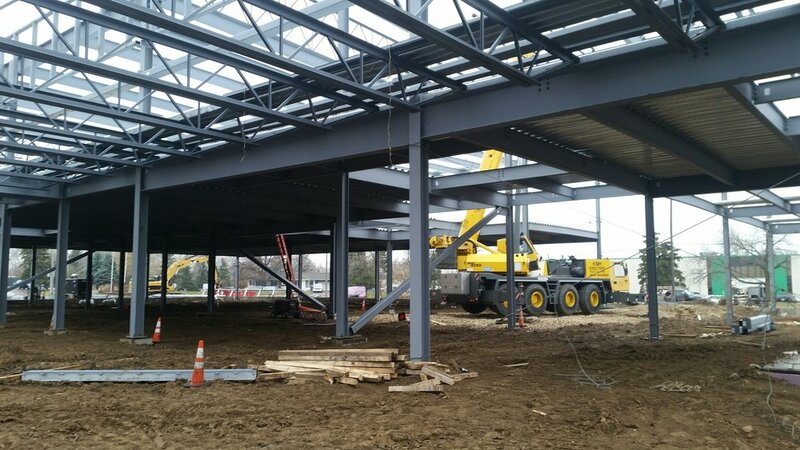 The steel frame is being constructed and concrete for the HQ Entrance Patio is being poured. HCM Architects is currently working with Anoka County to develop an idea to transform the exterior of their Activity Center located in Bunker Hills Park. 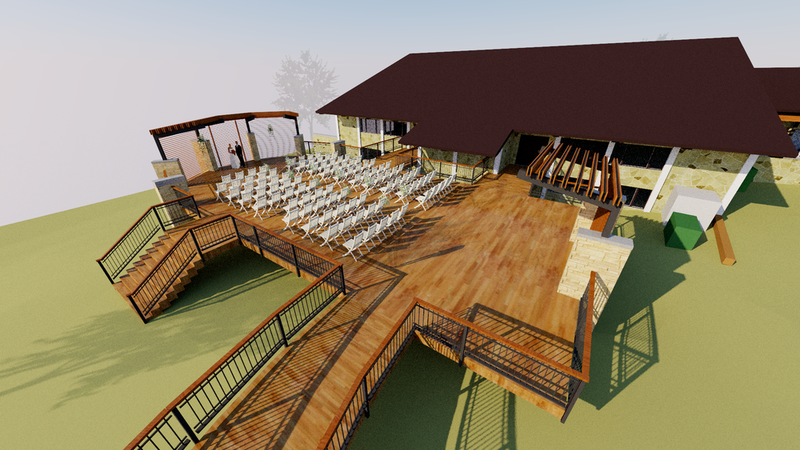 With hopes to have the remodel completed by end of Summer next year, we are excited to work with the Parks Department to create a more engaging gathering space for weddings and company outings. The City of Minneapolis has selected its Artist for the East Side Storage Facility in Northeast Minneapolis. HCM is very excited to be working on this project, and to now see Randy Walker apart of it. Click the link below to see Randy Walker's website, including his portfolio and bio. 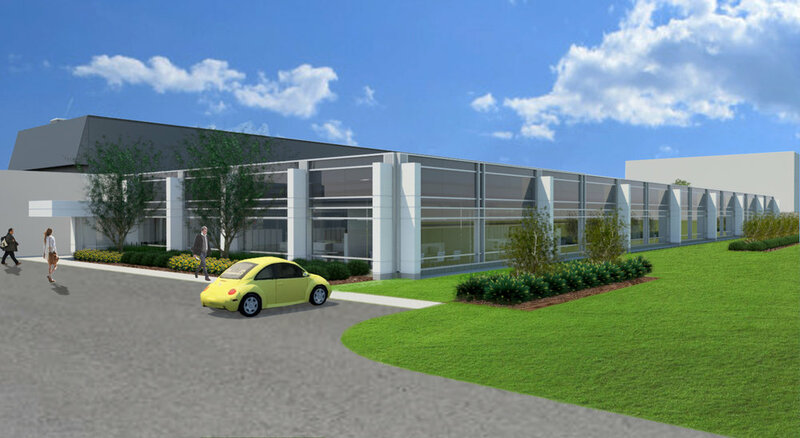 Both phases of Cummins' Engineering Facility in Fridley, MN are underway. Completion of the West end is getting close, and demolition of the East end is almost done, in which they will start to add the new facade. HCM is excited to be apart of this great project with Cummins, who we have worked with through out the years. Phase 1 underway. with the exterior of Phase 2 to still be removed. Glass panels being placed on the West end. HCM would like to welcome Byron Munoz and Alex Young to our team. Byron graduated from Florida International University with his Master's in Architecture and Alex is a graduate from the University of Minnesota, holding a Master's Degree in both Architecture and Historic Preservation. As we work our way towards 2018 here at HCM Architects, we're gearing up for work on some really exciting projects and its great to have both Byron and Alex in the office. Foundations are being framed and poured on site at Banner Engineering. 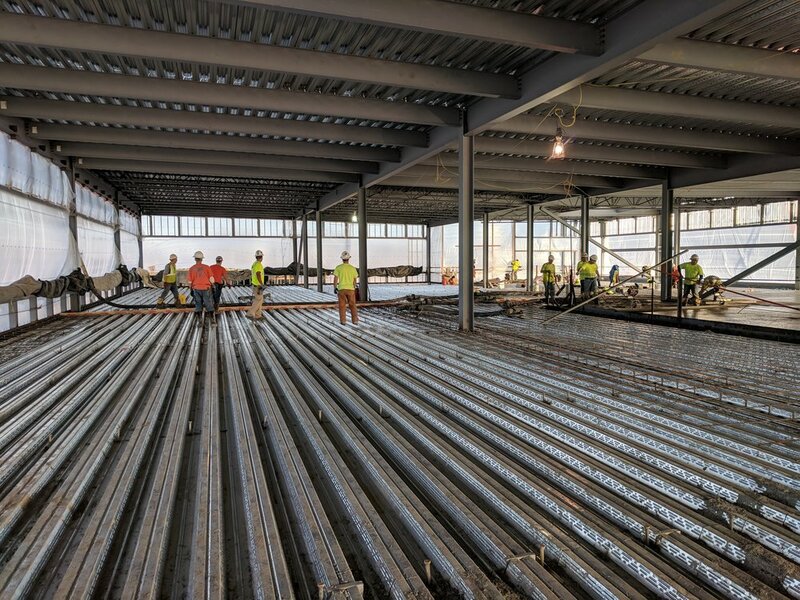 With Construction to be completed by mid December of this year, LISI Medical's Expansion is coming together!